In this compilation, the use of eugenol for the development of new active packaging material is presented using two different technologies for two polymer matrices. First, linear low density polyethylene films were impregnated with eugenol using supercritical CO2 assisted impregnation. In a second approach, eugenol was grafted onto cellulose using a polycarboxylic acid as linking agent for the preparation of a bioactive paper. In both cases, the effect of different process conditions on the final material properties was investigated. Following this, the authors discuss advances concerning the antiprotozoal activity of eugenol as well as its natural and synthetic derivatives. This study demonstrates that chemical modifications of eugenol can afford promising antiprotozoal compounds. 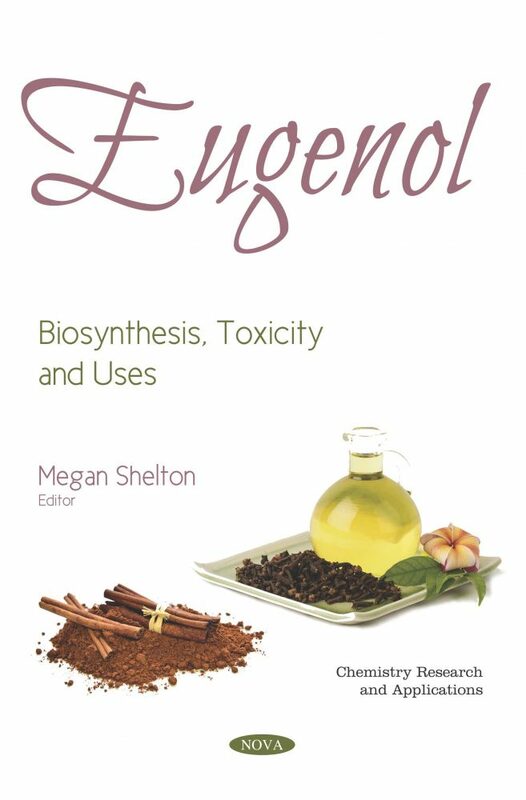 In the closing chapter, a revision of the eugenol based thermosetting materials is be presented. This includes not only their preparation, but also some important characteristics and applications.